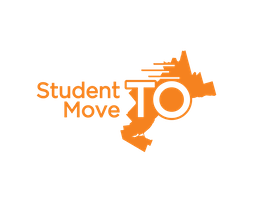 StudentMoveTO is a collaborative partnership that will generate insights, debates, and actions to improve transportation experiences of post-secondary students in the GTHA. We are supported by a Social Sciences and Humanities Research Council (SSHRC) grant, thirteen partner colleges and universities, and four partner government and community organizations with a goal of better understanding the answer to the question of #howdoyoumove. Each day, over 600,000 Greater Toronto and Hamilton Area (GTHA) students feel the challenges of getting around the region. The decentralization of population and higher education in the GTHA has created a new geography of unmet challenges regarding transportation equity in the region. Our regions’ current infrastructure – whether you’re traveling by car, bike or public transit – is not always sufficient. Transportation policies and data are not currently responsive to the unique needs of students. These challenges impact students especially. Students in the GTHA make up over 600,000 people who travel daily across a region of 8, 296.8 sq km . These numbers place particular demands for service on an already crowded transportation system. Not only do a high number of students live off-campus, they also must travel to other locations for work and leisure. Colleges and universities in the GTHA are spread throughout the region, containing both downtown and suburban campuses. At this scale, time spent on both transit and the road is one factor that limits students’ ability to engage in campus activities in and outside of the classroom. The issue of student travel extends beyond students themselves. The vitality and success of the colleges and universities in the Greater Toronto and Hamilton Region depends on options for students to reach all campuses effectively at all hours of the day so that they can take advantage of opportunities and meet demands of campus life. Students participating fully in their communities, as well as their studies, enriches the vitality of the GTHA as a whole. Universities and planning authorities can work together to solve some of these issues when we have the evidence. Students’ transportation needs and challenges can be incorporated into campus planning and urban policy.